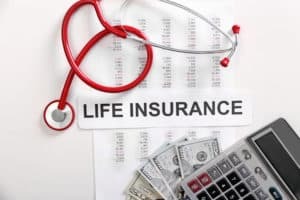 Can You Leave Life Insurance Proceeds to a Relative with Special Needs? You may be interested in purchasing life insurance as a way to fund your child with special needs’ future expenses. It’s fine to get a policy as long as you can afford it. But do not make the common mistake of naming your child as the beneficiary of the policy. Life insurance is insurance on the life of the policyholder. If you buy a policy for yourself, the insurance company will pay your beneficiary a lump sum of money if you die while the policy is active. You tell the insurance company who should be the beneficiary. People supporting family members with special needs often think to get life insurance policies and name the person with special needs as the beneficiary. Tell your relatives not to do this, and do not do it yourself, even if it seems like a good idea. You or your relatives could jeopardize your child’s eligibility for important government benefits. Many government benefits programs look at potential recipients’ income and/or assets to decide if they are eligible. These programs include Social Security, Medicaid, and Section 8 housing, among others. If the income or assets are too high, a person with special needs will not qualify and cannot get benefits. Life insurance pays a lump sum to the beneficiary when the policyholder dies. The beneficiary suddenly has a lot more money in the bank. When the government finds out about the money, it could suddenly end benefits. Many people with special needs rely on benefits for health care and daily living expenses, including group homes and other types of supported living. In other words, you do not want your child getting that lump sum. Fortunately, you can still get life insurance on your life. Establish a third-party special needs trust (SNT) that benefits your child, and name the SNT as the policy beneficiary. If you die, the lump sum will go to the trust. In most cases, money held by SNTs does not count toward people with special needs’ income or assets for government benefits purposes. The SNT can pay for some expenses directly without affecting benefits eligibility.